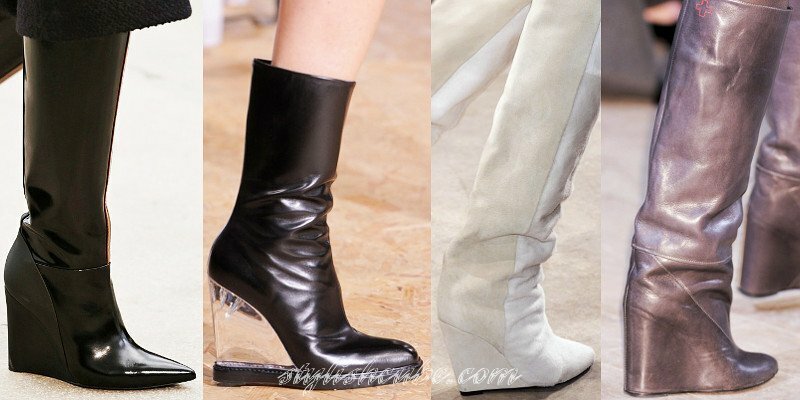 [Fall 2013 Fashion High Boots For Women] Recently, fashion designers think that: a perfect design must have ideal proportions and shape. 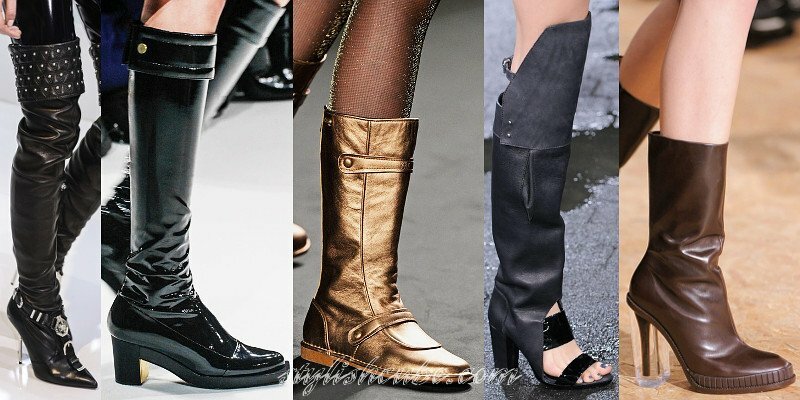 As a result, the collection of fashion high boots for fall 2013 offer a lot of interesting models with different designs, materials, colors, decor but still have the properties mentioned above. Boots of any height, from small ankle boots to the highest models are in fashion. There are still models with cut-outs in the collections but we see them significantly seldom than last year. Among the designer shoes of the new season there are a lot of models on a small and steady heel. Women's boots on a wedge also retain their popularity, but most of the new models have right square profile. The most spectacular model of the new trend of the season are stocking boots. Designers do not regulate their height, most of the models are usually hidden under clothing, even if it is a mini-skirt. If it is important to have a tight-fitting ankle in fashionable stocking boots of the new season, then the other models can also have free style. Heels are mainly characterized by a direct shape. Among the materials for boots of fall 2013 we can see — stretch fabric, smooth, patent and reptile skin, nubuck, suede, fur, and other velvety materials and materials with a nap. Boots of unusual materials are in fashion, for example, with a top in the form of a wide elastic band wrapped around the legs. When choosing a new pair of boots, except for traditional models in black color, you should pay attention to the model of white, emerald green, khaki, mustard colors, shades of blue, gray and burgundy. Some designers offer high boots with contrasting color combinations, geometric patterns or ornaments. Models of various shades of «metallic» are still current. 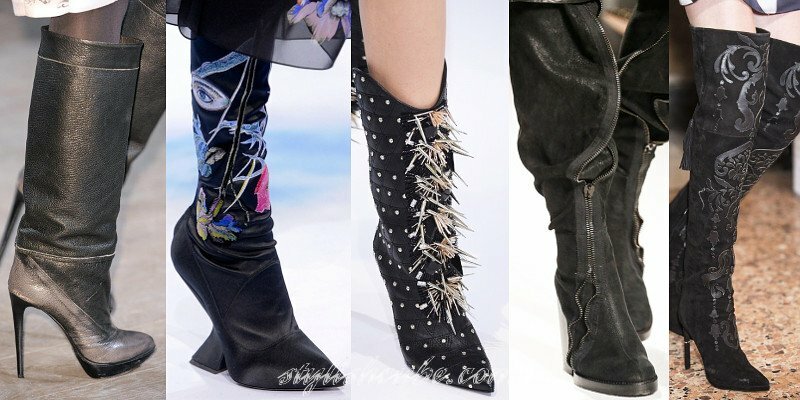 Among the trendy decor of autumn boots are — exquisite embroidery, applique, zippers, fur, straps and metal fittings. Different effects are also relevant, for example, shabbiness.